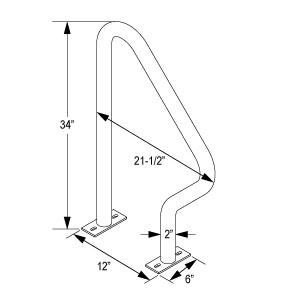 Spruce up bike parking with the popular Swerve Bike Rack. 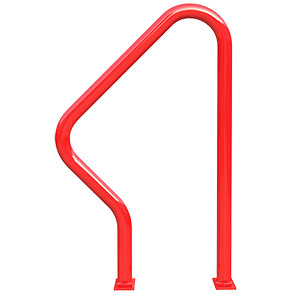 Inspired by the long trusted 'inverted u' design the Swerve Rack is crafted with an innovative angled sloping slide which facilitates as a lean bar, the Swerve Bike rack is built to ensure secure and convenient bike parking. Constructed with precision bent 1.9"O.D. schedule 40 steel pipe, the Swerve provides two points of contact, allowing the wheel and frame to be secured using a U style bike lock. Great for standalone or in group bike parking—models available as surface or in-ground mounted.